I did a little painting over the winter break. 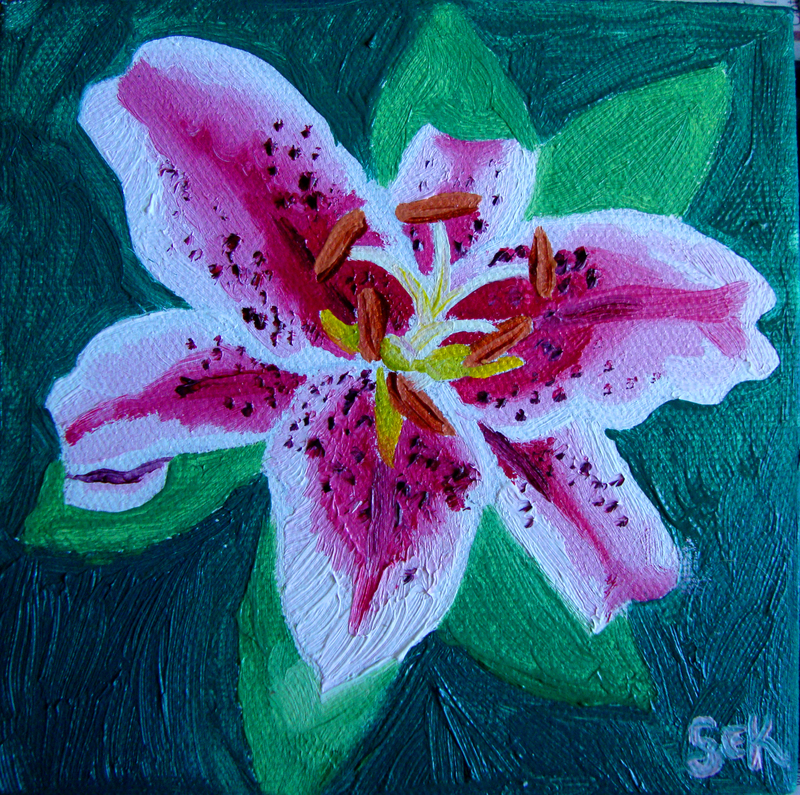 I painted this lily for Oz’s sister and her husband. These flowers were in her bouquet at her wedding. This one was for my Florida grandparents. This was for Oz’s parents. 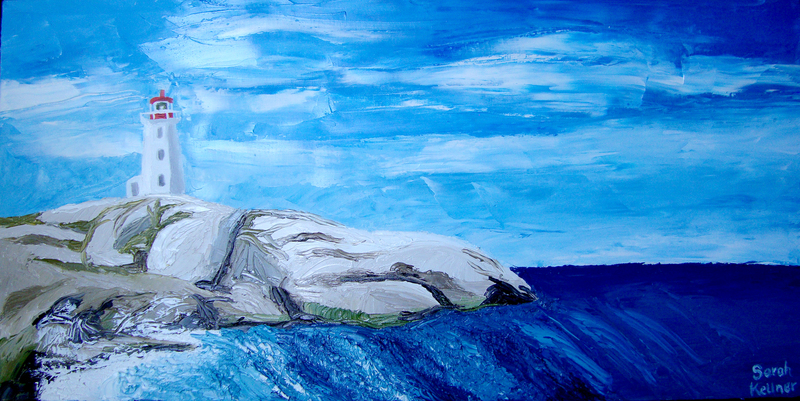 His mom has tons of family in Nova Scotia and Peggy’s Cove is one of their favorite places. I applied the paint with a palette knife. 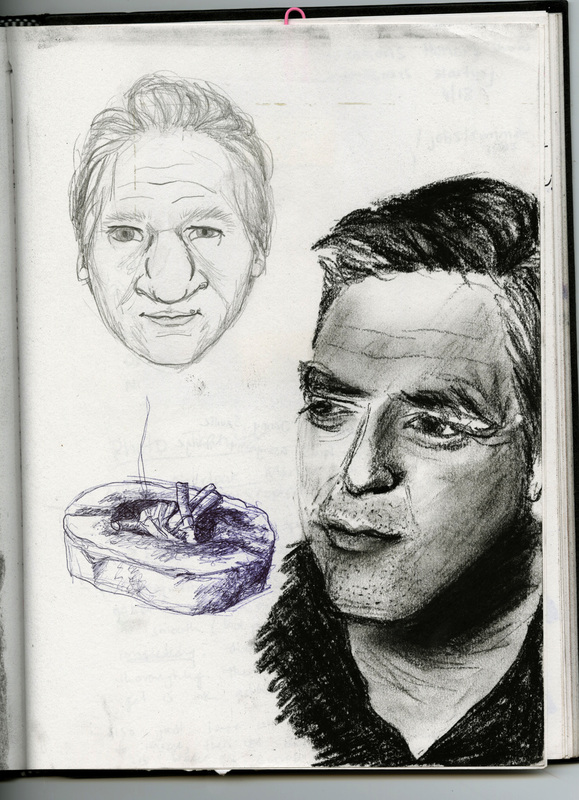 And these are just a few pages from my old sketchbook. I’m pretty sure the top left is Bill Maher. 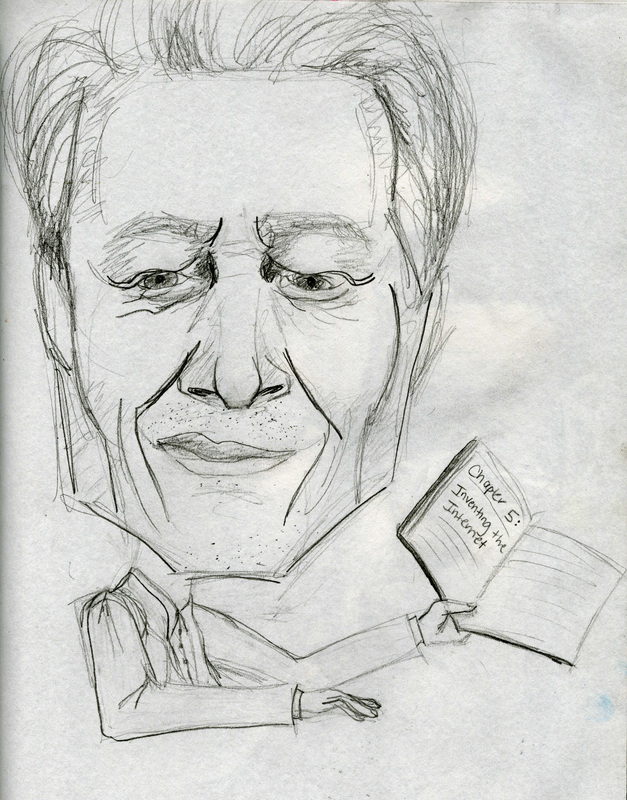 I was messing around with caricature at the time. These are some musings that I dug up from the depths of my hard drive. I’d completely forgotten about them, and I thought I’d just share them. In Writing for the Arts II, Lough asked us if we considered ourselves artists, and it made me think that we should all consider ourselves artists: writers or otherwise. 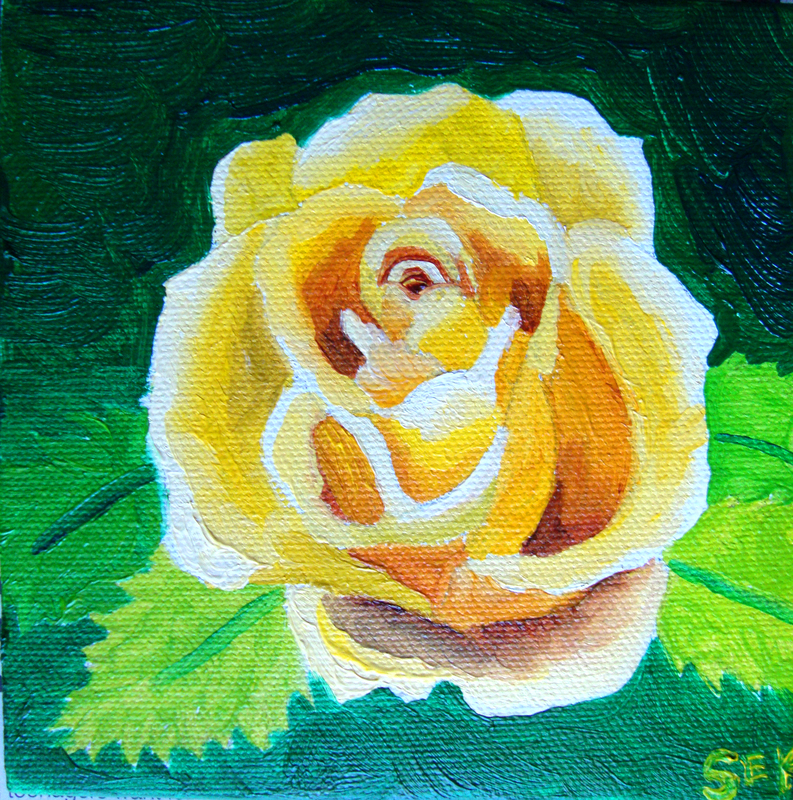 This entry was posted in Art and tagged Al Gore, Art, artist, artists, ashtray, Bill Maher, canvas, George Clooney, hard drive, Internet, inventing the internet, lily, oil, painting, regular artist, rose, writer, writing by Sarah. Bookmark the permalink. I’m not an artist. I’m a zoo keeper. That’s an art. I’d probably get myself eaten by a goat.